1. Preheat the oven to 350 °F (180 °C). 2. Place 1 phyllo sheet on a cutting board; liberally brush with canola. Top with the remaining sheets, stacking one at a time and liberally brushing each with canola. Cut the stacked sheets into 12 squares. 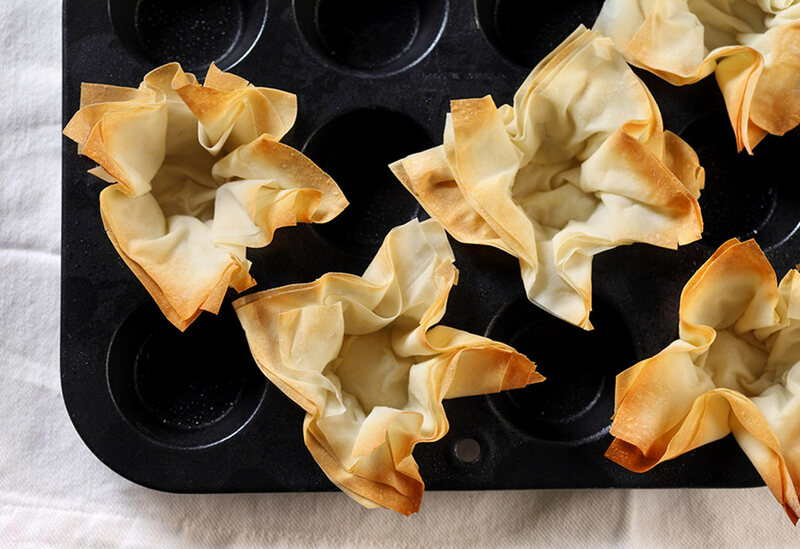 Mold the squares into standard-sized muffin cups, allowing the pointed ends to extend above the cups. Bake until golden brown, 10 to 12 minutes. Let them cool in the pans on a wire rack. 3. In medium sized saucepan, cover the potatoes with water and bring to a boil over medium-high heat. Cook them, uncovered, until just tender but still firm, 5 to 8 minutes; drain and rinse with cold water to stop them from cooking further. 4. In large sized skillet, heat the canola oil over medium high heat. Add the cumin seeds and let them sizzle, turn reddish brown, and smell fragrant - about 10 to 15 seconds. Stir in the potatoes and the remaining ingredients, except the lime juice, and cook uncovered until the potatoes are just warm, 1 to 2 minutes. Stir in the lime or lemon juice. 5. 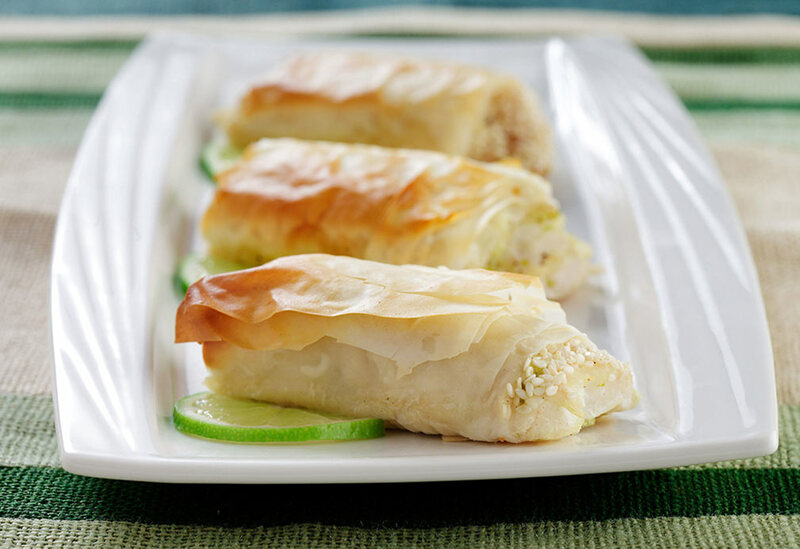 Spoon 1/4 cup (60 mL) filling into each prepared phyllo cup and serve immediately. 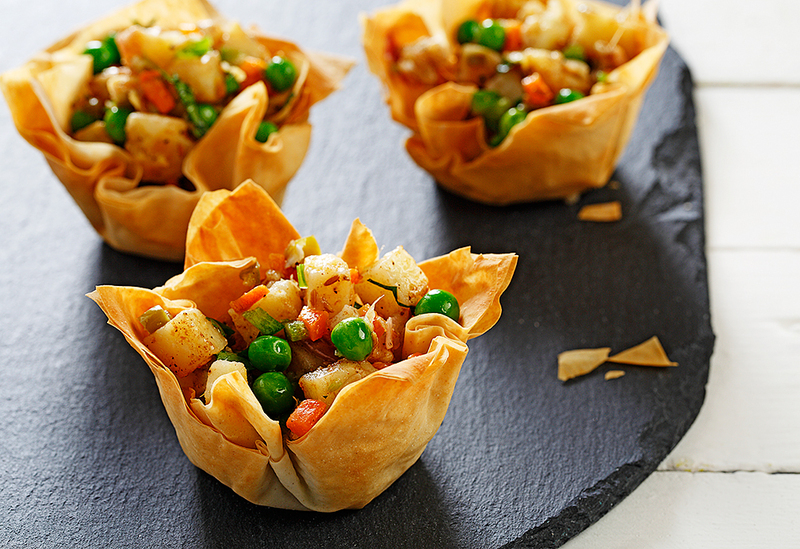 Tips: The phyllo cups and the filling can be made even up to two days before you plan to serve them. Store the cups in resealable bag. 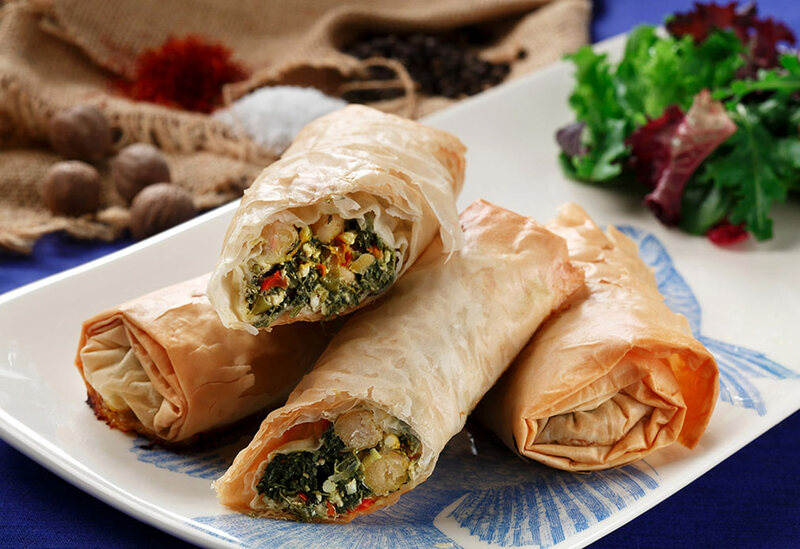 The filling can be reheated in the microwave. Note: Garam masala is a blend of ground spices (usually cardamom, cumin, black peppercorns, cinnamon, and bay leaves) commonly used in the northern regions of India. It is widely available in the spice aisle of your neighborhood supermarket.